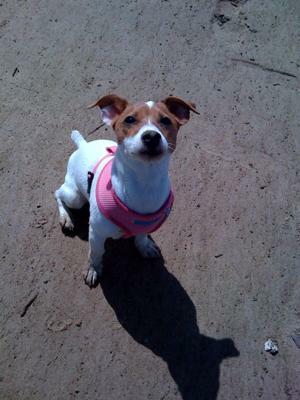 This is Princess our 8 month miniature, beautiful Jack Russell. We never planned to get a Jack Russell and was searching the paper and internet for a small, family dog. This is when we found the advert for miniature Jack Russell puppies for sale. As soon as we saw her it was love at first sight. She is now 8 months old and the best thing that ever happened to us. She is soooo loving, friendly and funny. She has us in bits laughing sometimes. When her top lip gets stuck on her gum and she looks like shes smiling lol. I couldn't imagine life without her now and we would recommend a Jack to anyone looking for a dog now!